In order to fulfill the diverse needs of our clients, we are trading and supplying a qualitative array of Rotor Assembly. - Used in a generator installed in dams and rivers to generate current from tidal movements. Alternator adjuster assembly 4DL engine. With 65 amp vacuum pump. 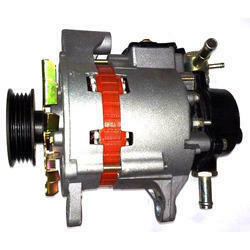 We design and engineer state of the art Alternator Assembly. It comprises of 4 parts which are rectifier plates, regulators, rotors and stators Alternator Assembly is the total alternator. The alternator consists of a spinning set of electrical windings called a rotor, a stationary set of windings called a stator, a rectifier assembly, a set of brushes to maintain electrical contact with the rotor, and a pulley. All of these parts except the pulley are contained in an aluminum housing. 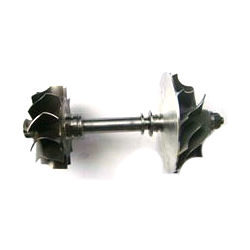 ROTOR ASSY "L" TYPE BLADE MULTI PERPOSE USE ROTOR MINI ROTAVATOR MITSUBISHI AND SONALIKA ROTAVATOR, Backed with the rich industry experience, we are offering Rotor Assembly which are precisely designed by our skilled engineers. Our offered products are smooth in functionality and provide maximum satisfaction to the clients. We are offering Kirloskar Green RRA 500Kva to our client and our product is made of good quality.